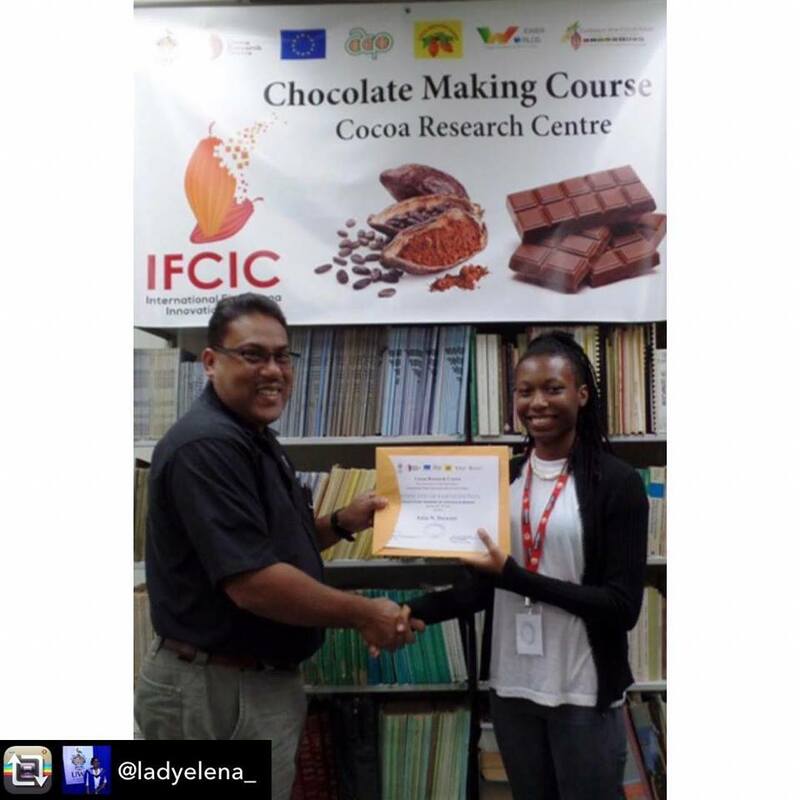 The Machel Montano Foundation for Greatness and WHYFARM wish to congratulate Ania Stewart, a member of the Siparia Community Chocolate Making Group,on her successful completion of the Cocoa Research Centre, UWI International Fine Cocoa Innovation Centre Project -The Introductory Training in Chocolate Making. Here she receives her certificate from Dr. Darin Sukha, Course Facilitator. Ania expresses her excitement by saying , “I would like to thank the Foundation and WHYFARM for giving me the opportunity of a lifetime in being a part of the CRC Chocolate Making course.